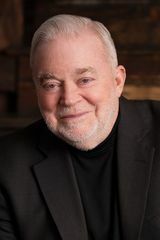 Jim Wallis is the author of the New York Times bestseller God's Politics, which electrified Americans disenchanted with how the Right had co-opted all talk about integrating religious values into our politics by offering an alternative voice. Wallis is a leading figure at the crossroads of religion and politics in America today, the author of eight books, and the founder of Sojourners, a global faith and justice network. He is a public theologian, an internationally renowned speaker and preacher, a faith-based activist, husband, and father to two young boys, and a Little League baseball coach.